Thank you so much for visiting our baby registry! 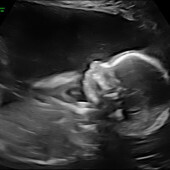 Baby Girl S. is arriving in October. We are registered at buybuy BABY, Pottery Barn Kids, Amazon, and some additional items via Babylist below. If you purchase an item below, don't forget to mark it as reserved so that other gift givers won't see the item as available.